The Vatican has presented the Instrumentum Laboris for the upcoming Synod on Young People. The working instrument of the October 3-28, 2018 XVth Ordinary General Assembly of the Synod of Bishops, on the theme “Young people, faith and vocational discernment,” was published today, June 19, 2018, in Italian. Cardinal Lorenzo Baldisseri, Secretary General of the Synod of Bishops, confirmed to Zenit that the Vatican’s official English translation, along with the other languages, will be made available in the days to come. Once released, Zenit will bring the full text to its readers. The document, dated May 8, 2018, is composed of three parts which altogether contain 13 chapters, introduction and conclusion. There were also initiatives to “involve young people,” beginning with an “Online Questionnaire” in different languages ​​and also translated by episcopal conferences: some 100,000 young people sent their responses. There was also the “Pre-synodal Meeting” of young people, in Rome, from March 19-24, 2018, where 300 young people from five continents were physically present, while 15,000 other young people participated in the meeting thanks to social networks. 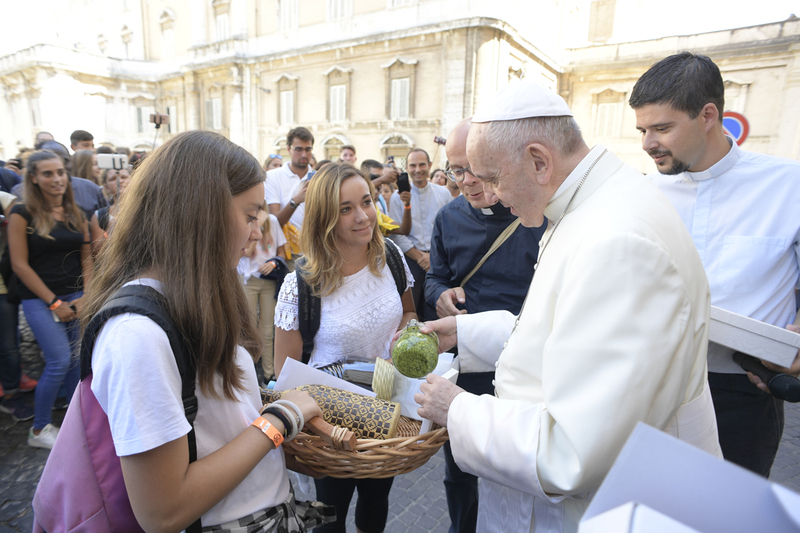 It ended on Palm Sunday, World Youth Day 2018, with the final document prepared by the young people being delivered to Pope Francis. This initiative, Cardinal Baldisseri noted, demonstrates “the expression of the desire of the Church to listen to all young people without exclusion”. “The material collected by these four main sources – in addition to the “0bservations “of the Secretariat of the Synod- is certainly very vast. It has been thoroughly analyzed by experts, carefully synthesized, and collected in “The Instrument of Work” approved by the XIV Extraordinary Council of the Secretariat of the Synod of Bishops, in the presence of the Holy Father, ” he said. Cardinal Baldisseri specified that the text takes up the themes in a “functional” way for the unfolding of the synod: “Recognize” (five chapters), “Interpret” (four chapters for four “reading keys”), “Choose” (four chapters, “to help the Synod Fathers to take a stand on the directions and decisions to be taken”).